Katowice's city centre was once a bleak, drab place. Just ten to fifteen years ago, early readers of this guide might find themselves standing near Katowice's Rynek (market square) - which was nothing more than a giant roundabout - pondering what brought them there, questioning their very existence even, as rain poured down their faces.... Wake up from that frightful image! Kato's city centre, though not exactly comparable to its more famous neighbouring city (K...Kra...yeah, that one), looks much better than it has ever looked before. 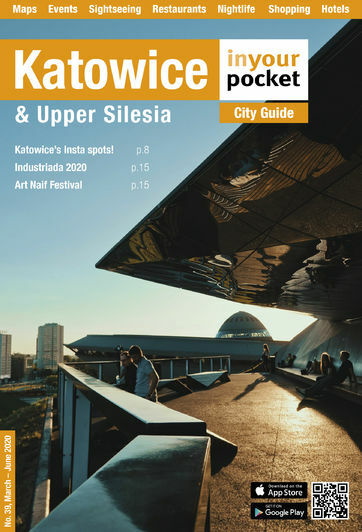 And that sums up Katowice as a whole, which has undergone a huge regeneration in the last decade to become a post-industrial city of culture. The area around the Katowice train station, the main street - ul. Mariacka - full of bars and restaurants, all of them have been spruced up and no longer ooze with sadness (and urine) as you walk through. There's plenty to see and do here, even if you're only in the city for a short time. Read on for our recommendations.